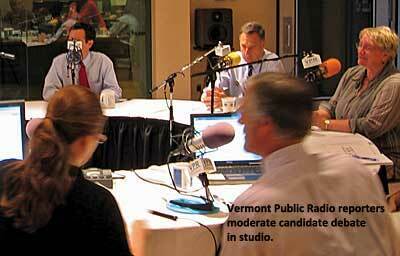 Very few local public radio station newsrooms consider themselves frequent editorial partners with NPR. 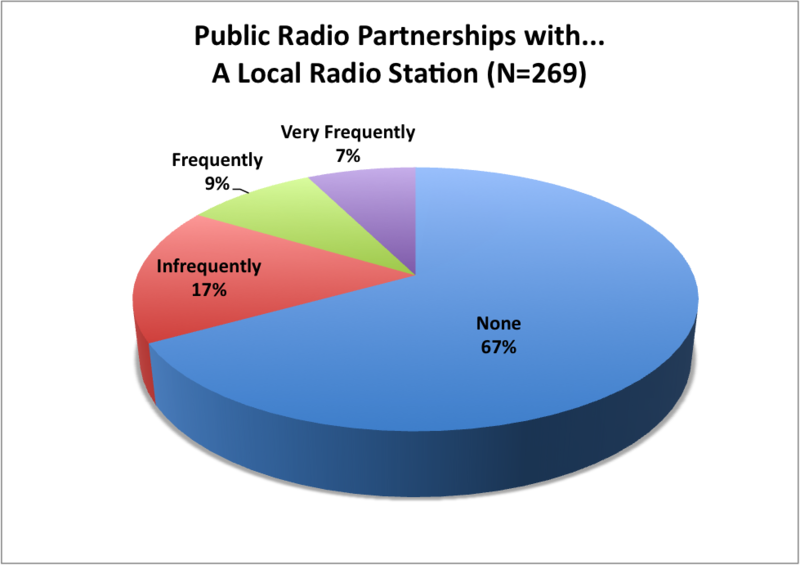 New survey data reveal that more than 75% of local stations have infrequent or no involvement with NPR as a news producing partner. Of the nearly 250 U.S. public radio stations responding, less than 6% claimed “very frequent” involvement with NPR editors. 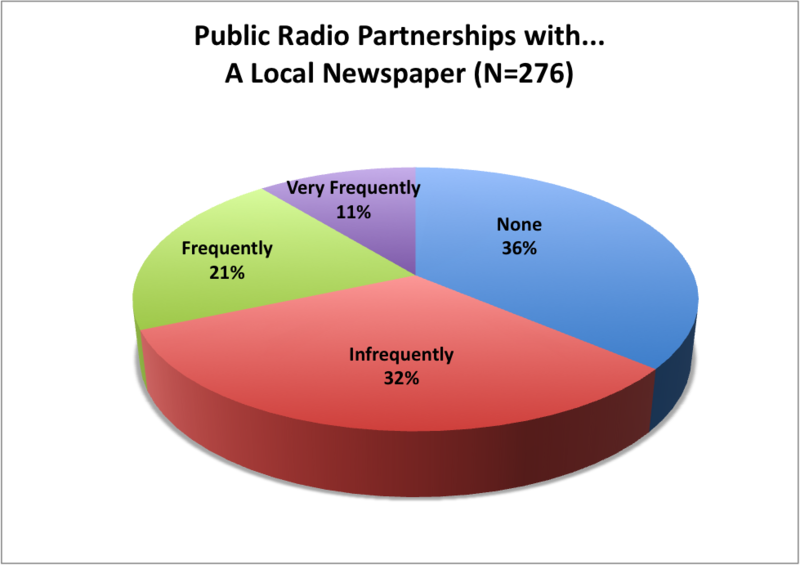 The survey looked for — and found — a notable distinction between NPR’s two main points of contact with local station newsrooms. 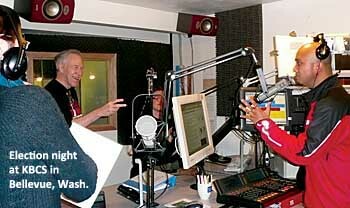 One point of contact is an NPR regional bureau chief. The other is NPR’s 24-hour news desk in Washington. 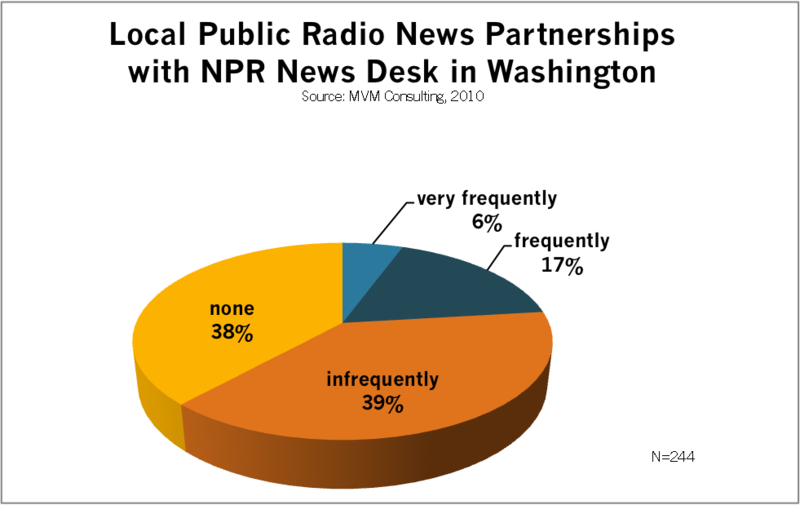 The distinction is that editors in Washington have established more editorial partnering with stations than have NPR bureau chiefs in the regions. 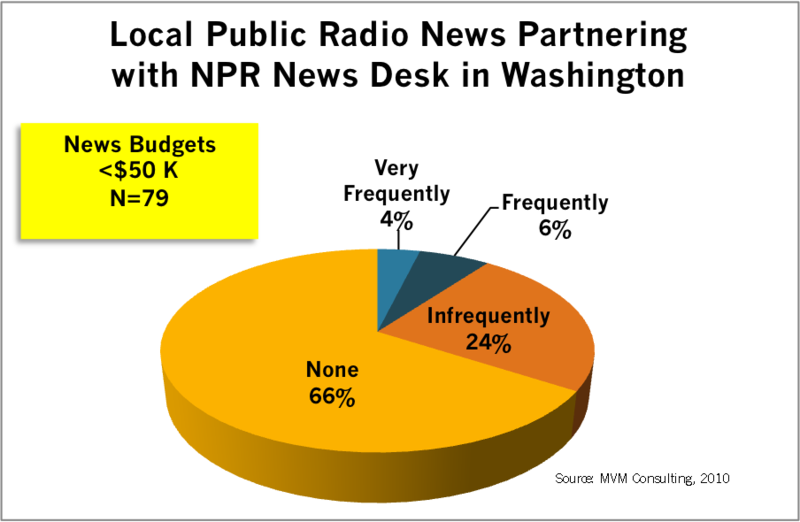 Survey data also show the fewest NPR partnerships are with low budget newsrooms. However, even among the upper-budget newsrooms, at least half report infrequent editorial partnering with NPR. 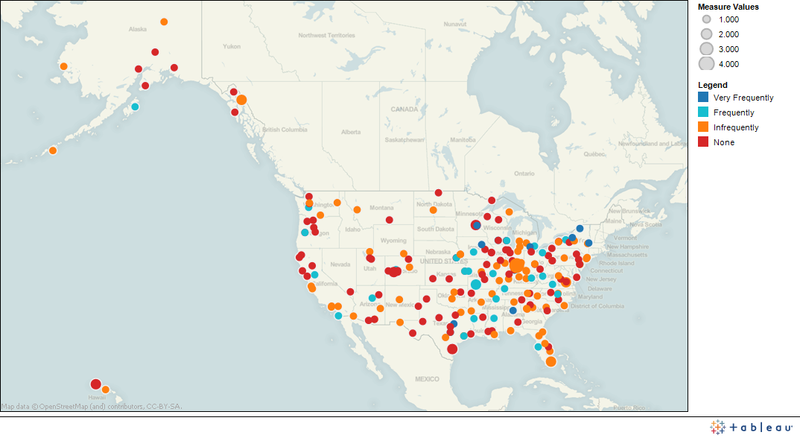 You can see a map of the distribution of stations according to their NPR editorial involvement here. Since the late 1990’s, NPR has positioned editors around the United States to be closer to the news and the journalists in those regions. The regions are the Northeast, the South, the Midwest and the West. 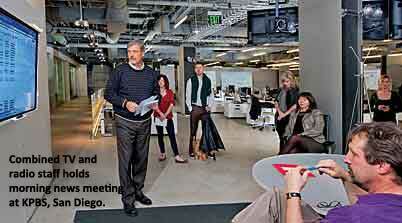 NPR bureau chiefs typically commission and edit the feature length reports on NPR magazines. 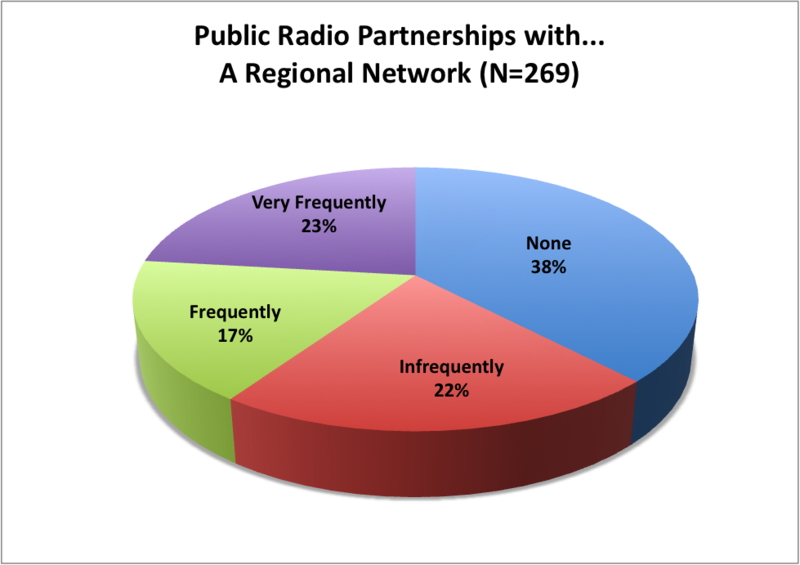 The chart below aggregates the responses of 244 stations on the question of their involvement with their regional NPR bureau chief. 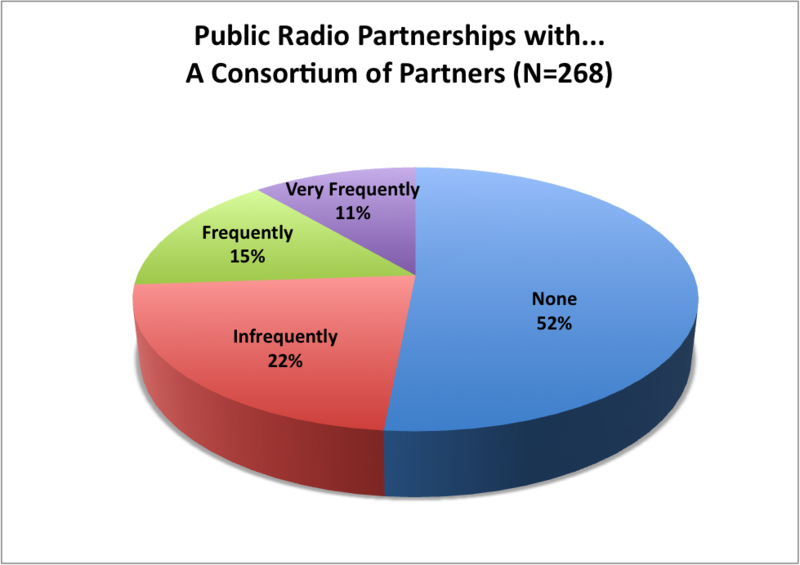 Eighty-one percent of the stations say their bureau chief partnering is infrequent or non-existent. 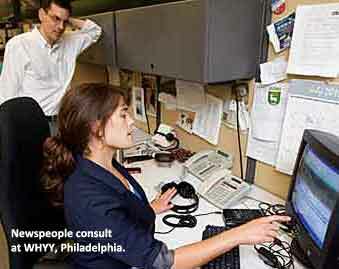 Nineteen percent have partnership involvement frequently or very frequently. 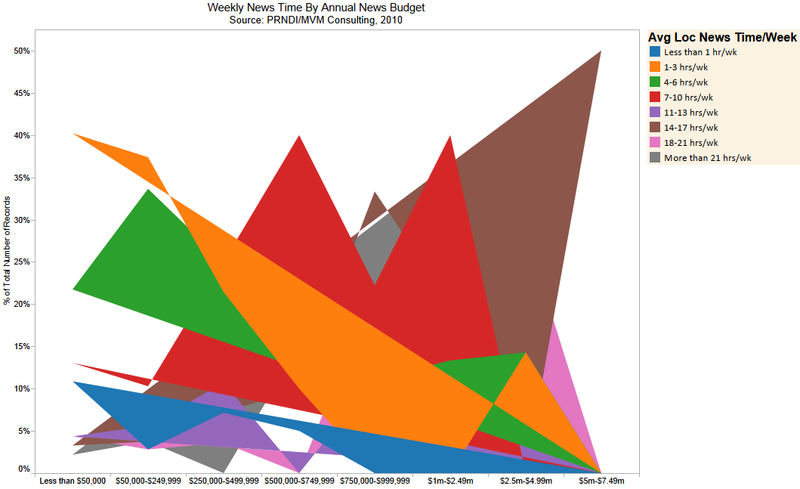 The same results aggregated above were then sorted into the following three charts — according to the size of the local station’s self-reported news budget. The chart below is comprised of the 68 stations with the highest budgets (from $250-thousand to $5-million). This chart shows the difference a more well-resourced newsroom makes when it comes to working with NPR. 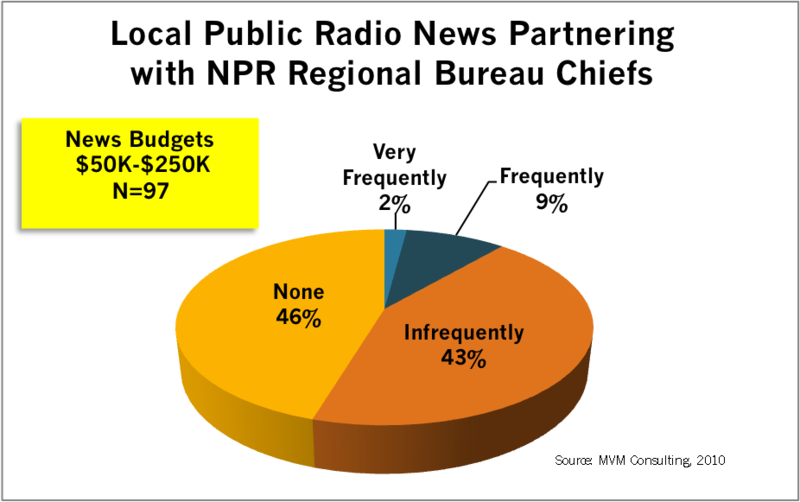 Some 44% of the stations in this budget bracket report having frequent or very frequent involvement with NPR bureau chiefs. 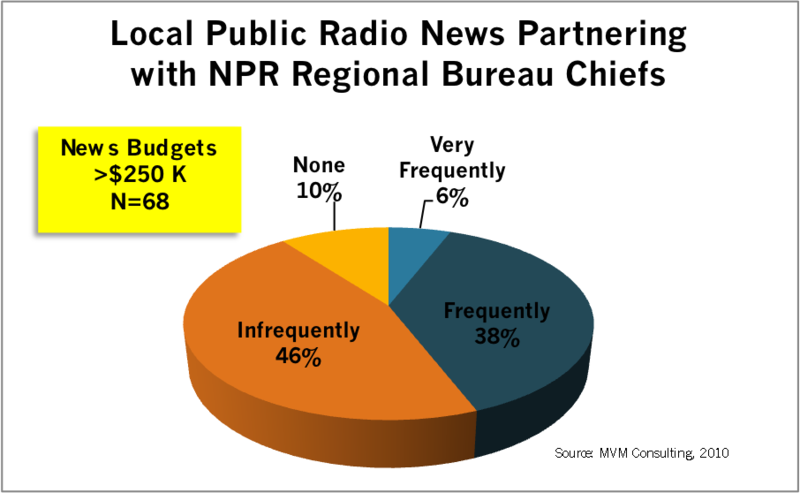 The middle budget bracket below, shows far fewer station reporting frequent (9%) or very frequent (2%) involvement with NPR bureau chiefs as partners. The smallest local news budget bracket, below, shows the least partnering activity with NPR bureau chiefs. NPR News staffs a 24-hour news desk at its headquarters in Washington, D.C. This desk is responsible for the hourly newscasts on NPR and thus relies on frequent spot news reports from both NPR staff journalists and member station journalists (who file as paid freelancers). 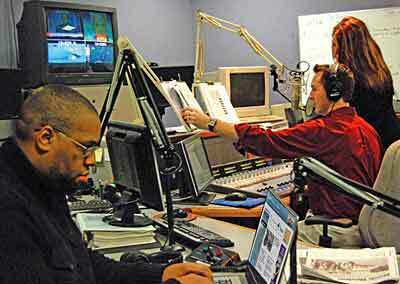 Not surprisingly, because of this high demand for short reports, the DC News Desk is considered a partner more frequently by local U.S. public radio newsrooms. 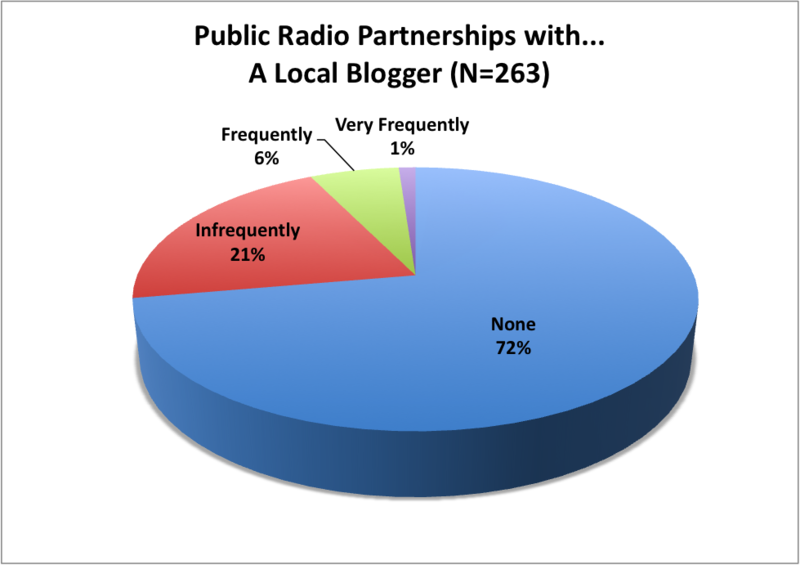 The chart below shows 23% of all local stations having frequent or very frequent involvement with the DC desk editors. Again, we sort the 244 respondents into three budget categories to compare the difference news spending makes on partnership involvement. 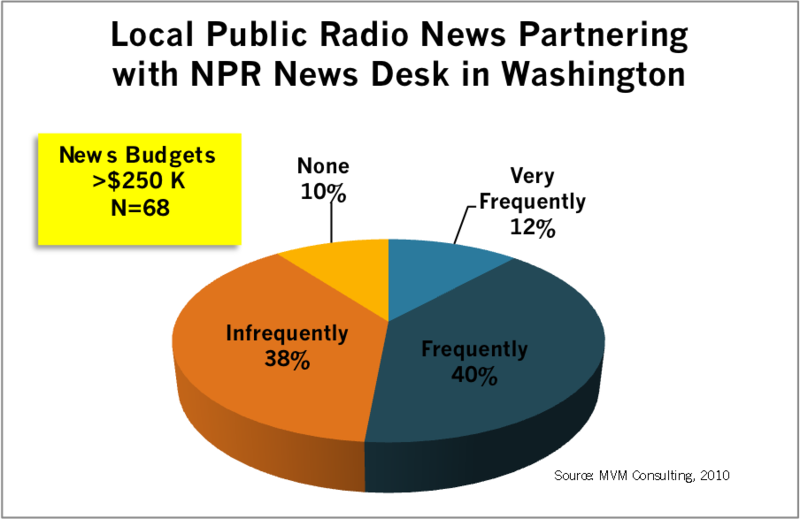 The chart below shows a majority (52%) of stations in the large budget bracket have frequent or very frequent involvement with the NPR news desk in Washington. Again, the partnering drops off significantly among the lower budget newsrooms. 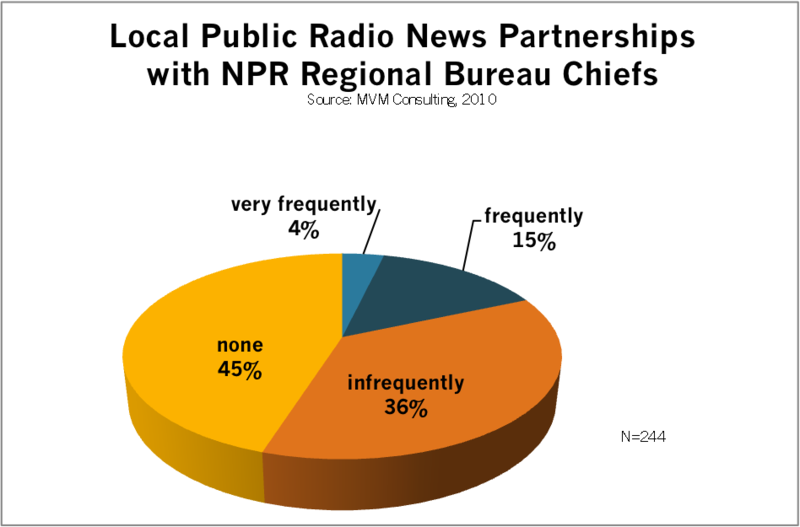 Fourteen percent of the middle bracket has frequent or very frequent partnering opportunities with the NPR news desk. 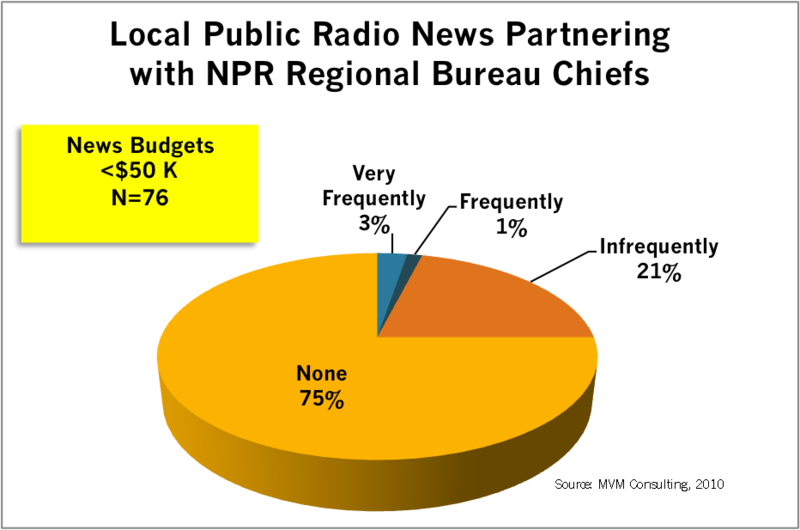 While the lowest newsroom budget bracket shows little partnering with NPR, still the numbers are higher here (due to spot news opportunities) than we saw with the bureau chiefs (who tend to seek more sophisticated features from their local partners). 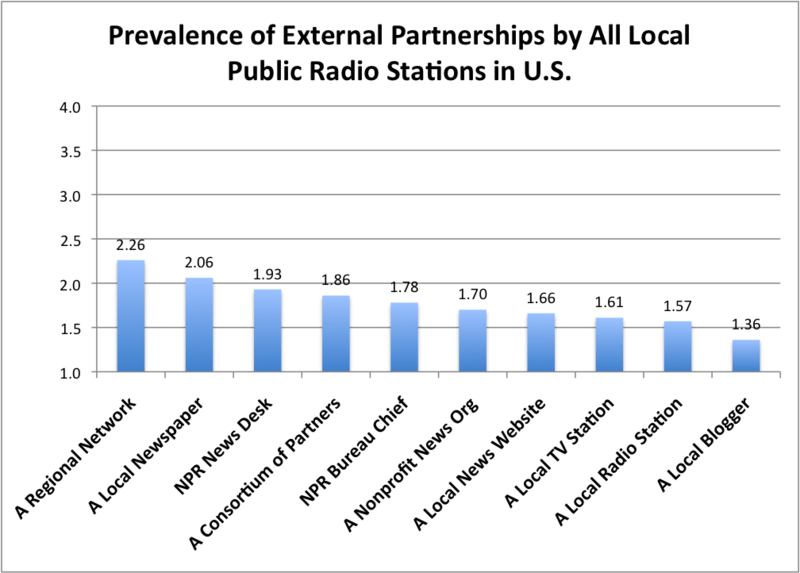 The fact that stations don’t have frequent partnerships with NPR is not an indictment of either NPR or the stations, but it indicates the level of separation between the two. The factors affecting level of partnership include a) shared mission, b) commitment to making local stories national, c) availability of stories worth partnering over, and d) availability of network-ready reporters. These appear in varying levels around the system.. and generally tend toward sharing in the large metro stations. While it seems generally true that members stations should be partners with NPR — to help NPR cover the nation — many exigencies conspire to thwart that ideal. What may be more important in terms of partnerships with local stations are those partners who help augment local reporting resources. As the next report will show, even those partnerships are in short supply.